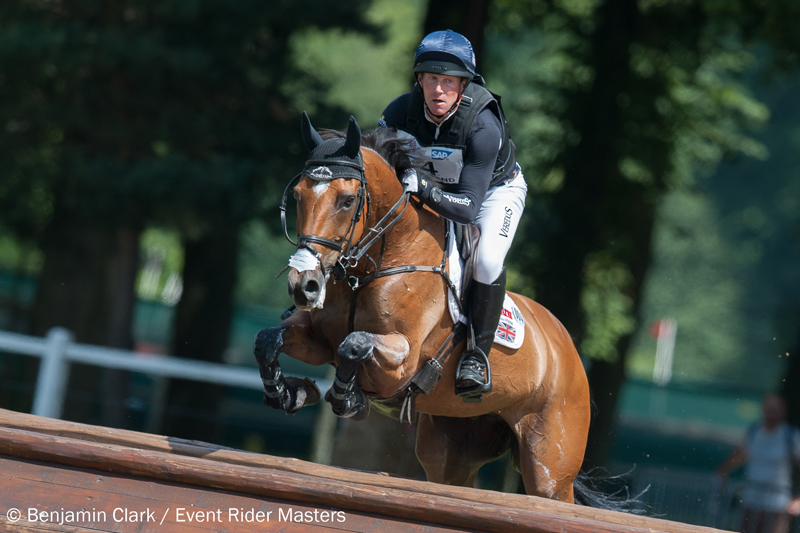 Germany’s Michael Jung further established himself as the master of modern eventing, by winning Leg 4 of the Event Rider Masters at Haras de Jardy, just outside Paris. The current European and Olympic champion, and FEI world number 1 added another prestigious title to his CV by securing the top spot on the ERM podium in his debut at the series. 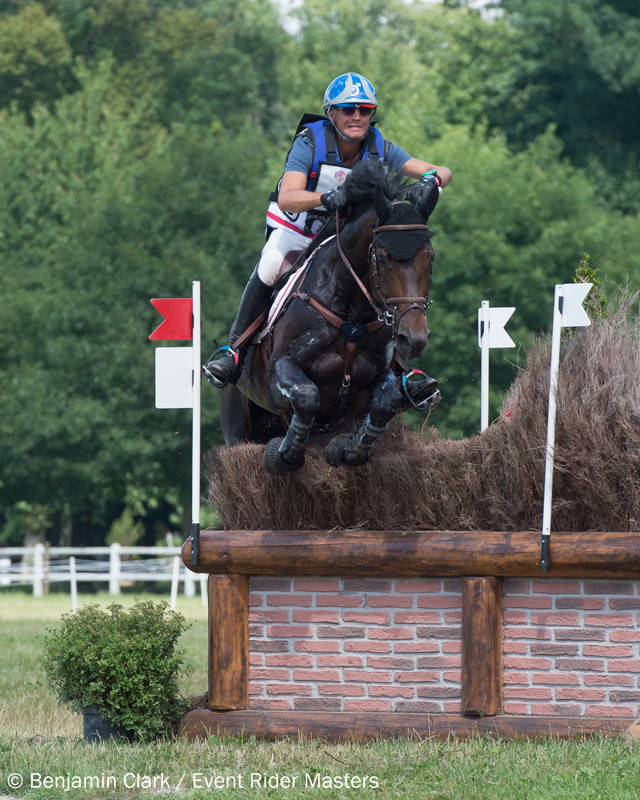 Riding the exciting 9-year-old Star Connection, Jung produced a precision timed piece of cross-country riding, adding just 2.8 time penalties to his combined dressage and show jumping mark to finish on 38.5. The win for Jung was by the narrowest of margins, with 0.4 penalties separating him and the second rider home, Frenchman Karim Florent Laghouag, who completed on a score of 38.9. Photo by Benjamin Clark/Event Rider Masters. 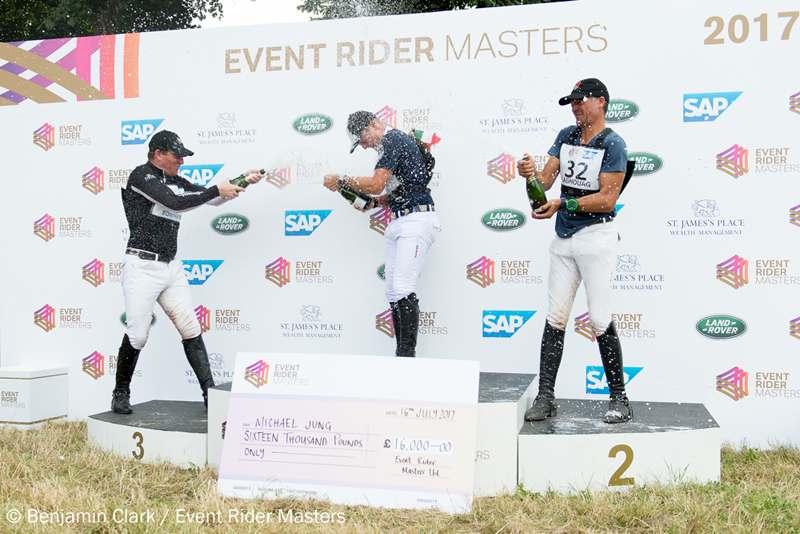 Jung, after being presented with the €19,000 first prize, commented, “Star Connection is not the most experienced horse at this level. But he answered all the questions out there today and was brilliant. Second on the podium for France was Laghouag riding Entebbe de Hus. He delivered a foot perfect and quick cross-country performance, adding no time penalties to finish on a score of 38.9. The influential show jumping phase earlier in the day had proved costly for Laghouag, who incurred four penalties after knocking down a rail, which put paid to the chance of a second consecutive podium win for France in the 2017 ERM series. Michael Jung and Star Connection. Photo by Benjamin Clark/Event Rider Masters. Britain’s Oliver Townend kick started his 2017 ERM campaign finishing third with Cooley Master Class. The 2016 ERM series champion performed impressively throughout the weekend’s competition, adding no penalties to his dressage score across the jumping phases to finish on a mark of 39.1. Donatien Schauly, of France, riding Pivoine des Touches was the only other combination to complete the competition on their dressage score. He was the highest climber on Sunday moving from twentieth after dressage to finish in seventh place on a score of 43.8. Karim Florent Laghouag and Entebbe de Hus. Photo by Benjamin Clark/Event Rider Masters. After Leg 4, the overall 2017 ERM series standings are headed by Britain’s Gemma Tattersall on 74 points, who finished fourth this weekend riding Chico Bella P. Sarah Cohen (GBR) is in second on 69 points. Sarah has partnered with her horse Treason across three ERM legs this season, winning at Leg 2 and completing in ninth place this weekend. Thomas Carlile (FRA) who won Leg 3 last weekend sits in third on 56 points. 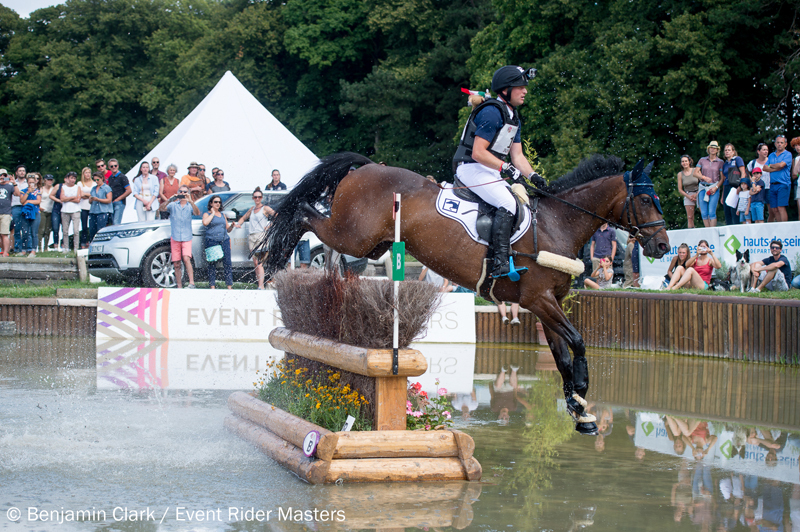 The Event Rider Masters continues with Leg 5 at the Festival of British Eventing at Gatcombe Park (England), presented by BETA on Aug. 5-6. Oliver Townend and Cooley Master Class. Photo by Benjamin Clark/Event Rider Masters.